Cold - Wet - Blustery Wednesday! (Valid At 6:30 AM MDT This Morning). (Valid At 7 AM MDT This Morning). (Valid At 7 AM MDT). Valid At 3 AM MDT This Morning. Make no mistake about it fall is off to an early start across parts of the Western U.S. this year. 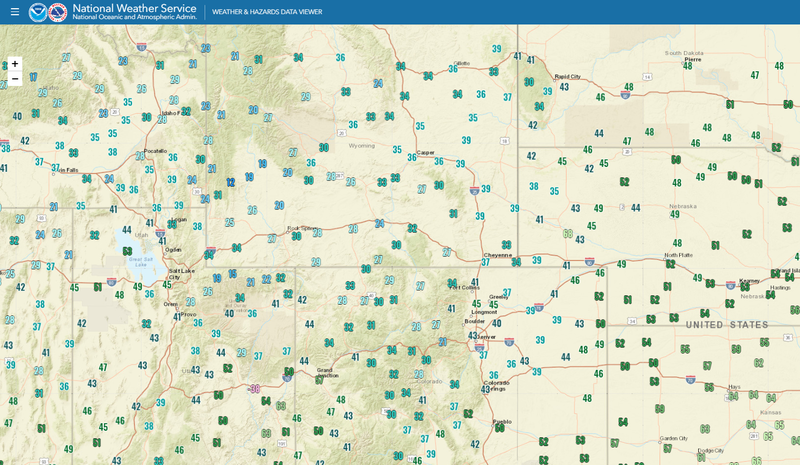 Take a look at the temperature maps above and note the widespread temps in the 30's and 40's with even a few low temps reported to be in the teens and 20's across Wyoming. 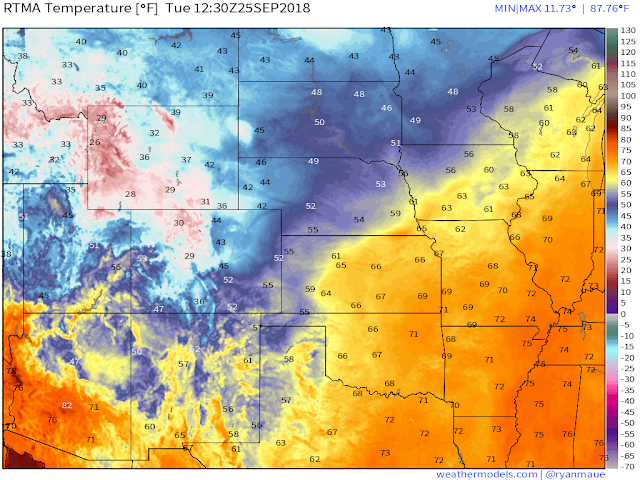 A potent cold front had entered extreme northeastern New Mexico as of 3 AM MDT this morning and will continue pushing to the south and west throughout the day. Falling temperatures along with gusty northerly to northeasterly winds in the 30-40 mph range will accompany the frontal passage. The front should arrive in southeastern New Mexico around or just before sunset this evening. Many of us may see our 24-hour high temperatures for Wednesday set around midnight tonight. 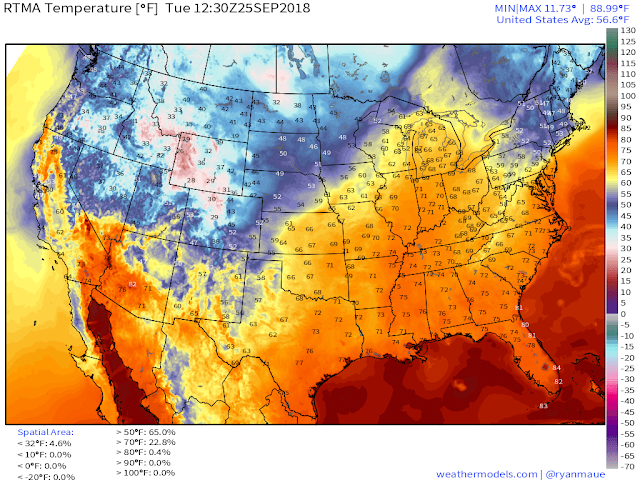 NWS NDFD Forecast High Temps Today. NWS NDFD Forecast High Temperature Anomalies Today. 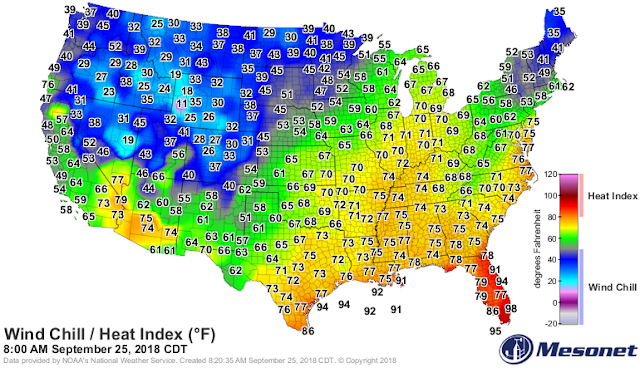 Most of the local area will see high temperatures this afternoon near 90º to the low and mid 90's. 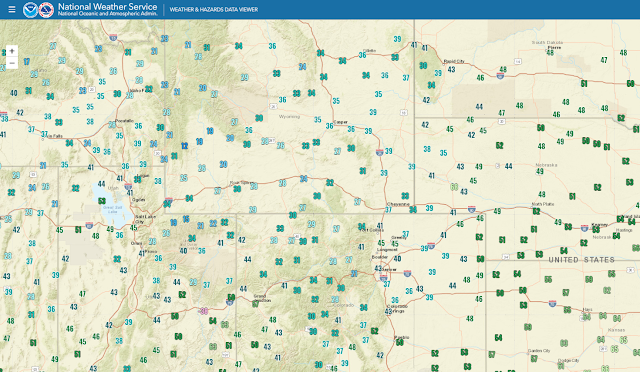 These readings will be some 5º to 10º above the average for the date. This changes dramatically on Wednesday behind the cold front. 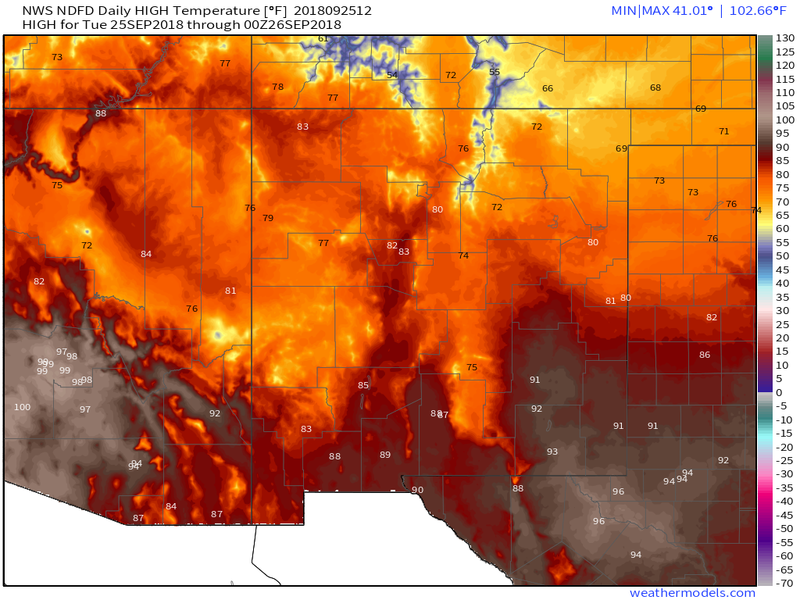 NWS NDFD Forecast High Temperatures Wednesday. 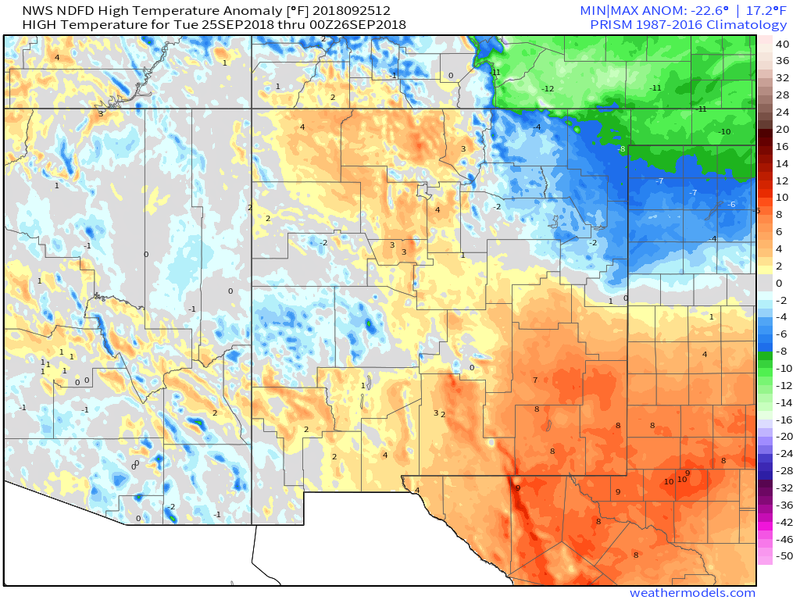 NWS NDFD Forecast High Temperature Anomalies Wednesday. NAM Forecast High Temperatures Wednesday. After seeing our afternoon high temps some 10º above normal today Wednesday's afternoon highs are likely to be some 25º to 30º below normal. 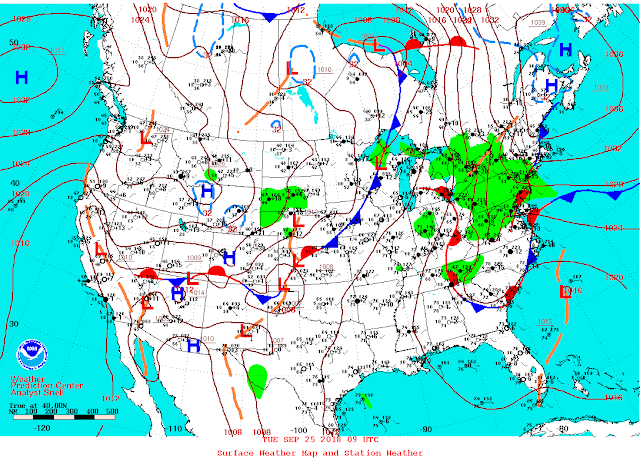 In fact some locations will see a drop in temperatures on Wednesday of 30º to 40º compared to today's readings. Most of the local area should remain in the 50's on Wednesday. Those gusty northerly to northeasterly winds will make it feel even colder especially in the morning so bundle up the kiddos Wednesday morning. 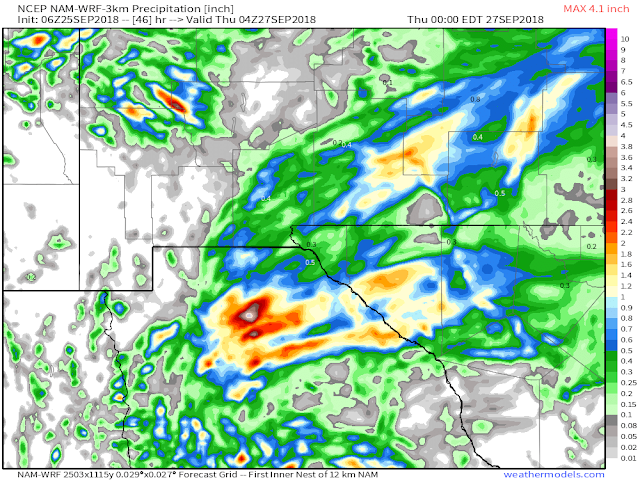 NWS NDFD Forecast Storm Total Rainfall Amounts. Valid At 6 PM MDT Wednesday. NAM-WRF Forecast Storm Total Rainfall Amounts. 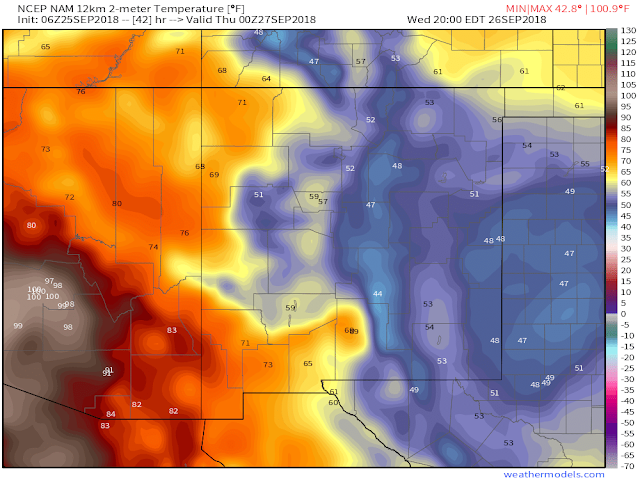 Valid At 10 PM MDT Thursday. 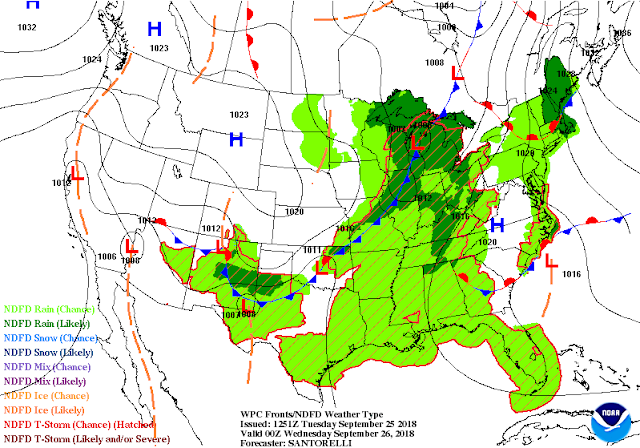 Wednesday should see overcast skies along with blustery conditions with light to moderate rainfall and perhaps a few embedded thunderstorms. 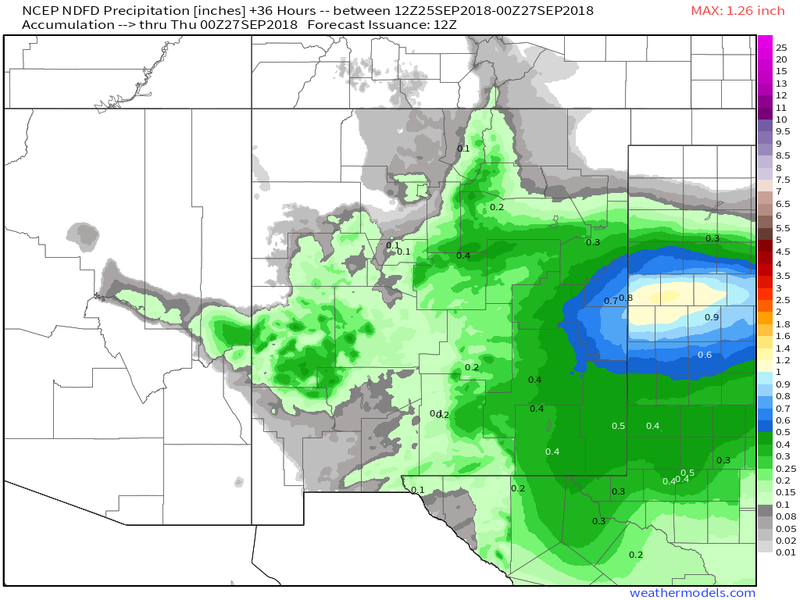 Forecast models continue to indicate that most of the local area should see around a half of an inch of rainfall with pockets of heavier totals ending by Thursday. 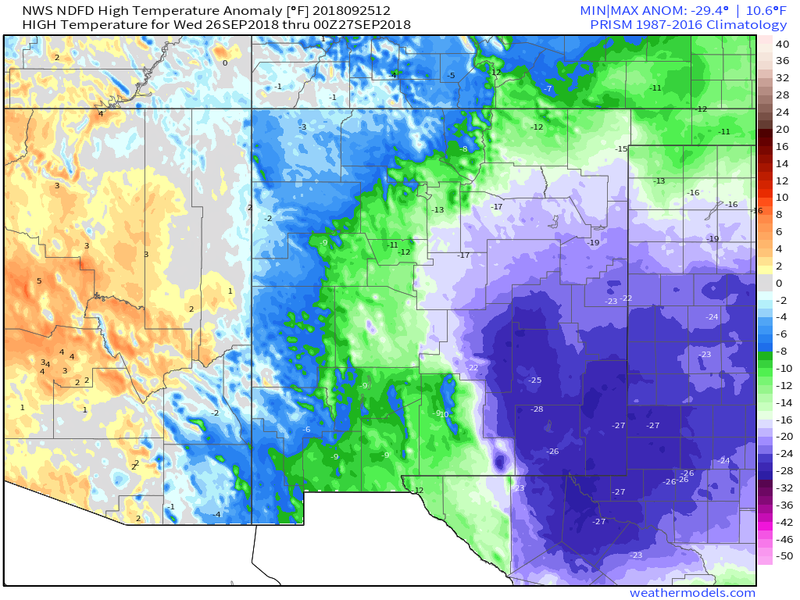 Elevations above 10,000' in the northern New Mexico mountains and the Sierra Blanca Peak area west of Ruidoso still have a chance of seeing a dusting of light snow out of this storm. 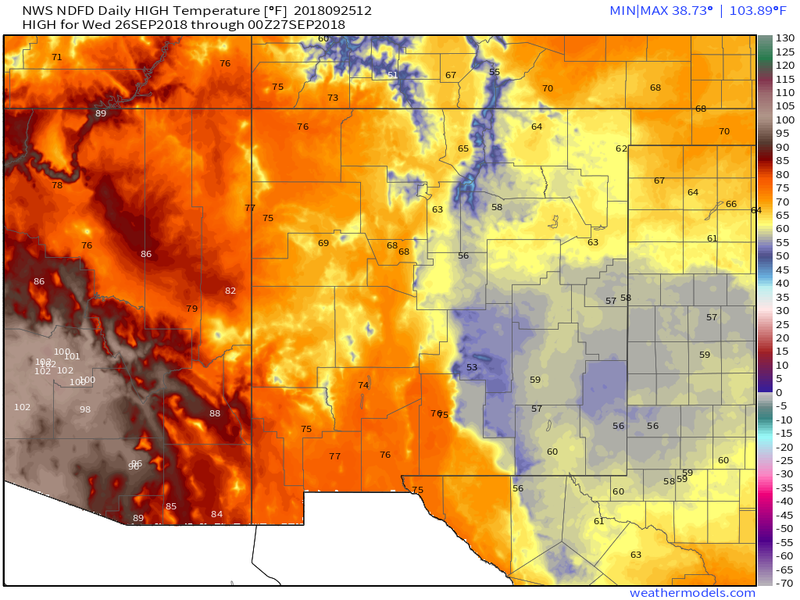 As I mentioned yesterday this is not all that unusual for Sierra Blanca Peak but not common either. Snow In Cloudcroft In September. 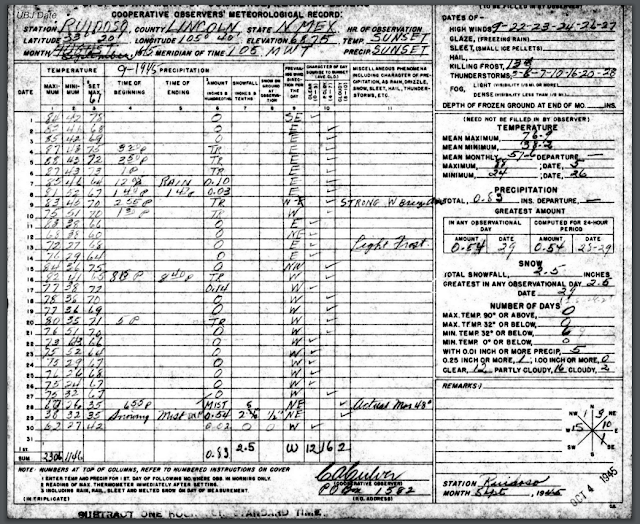 Speaking of snow in the Sacramento mountains of south-central New Mexico Cloudcroft can and has seen measurable snowfall in September. 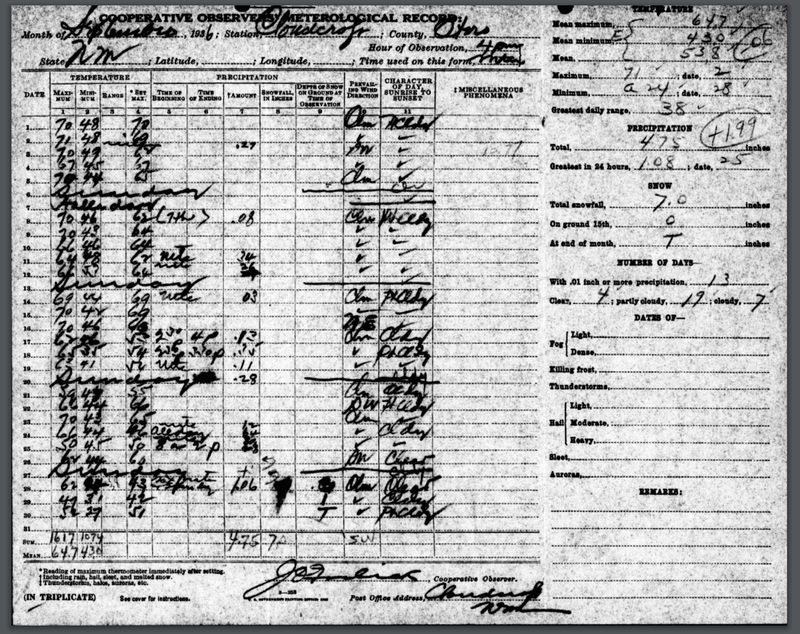 On September 25th, 1913 1.0" of snow fell with 3.0" falling on the 26th. 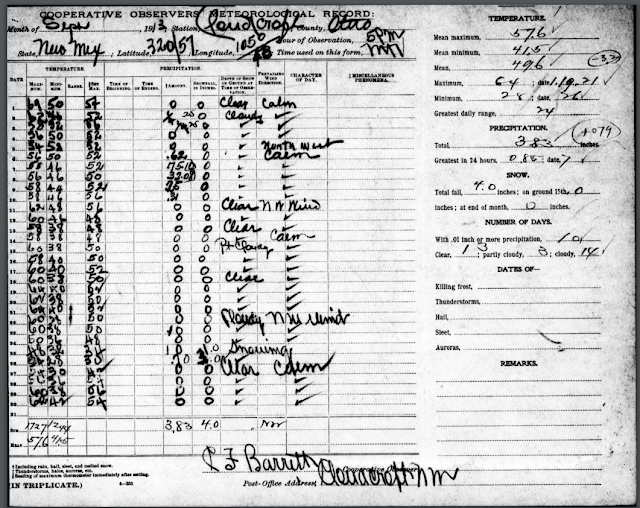 They recorded a trace of snow on September 20th, 1949 and 7.0" on September 28th, 1936. And 1.0" on September 30th, 1945. Snow In Ruidoso In September. 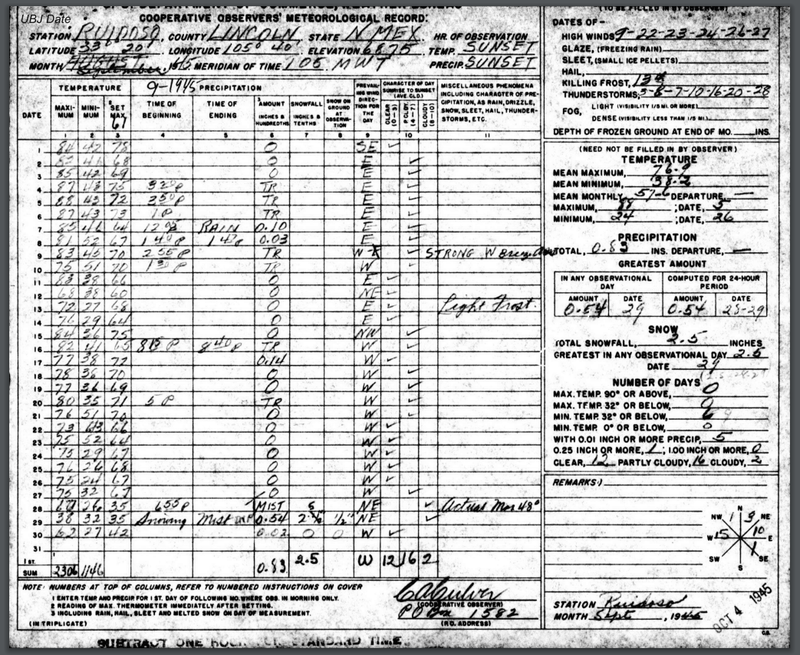 Ruidoso also can and has seen measurable snowfall in September. 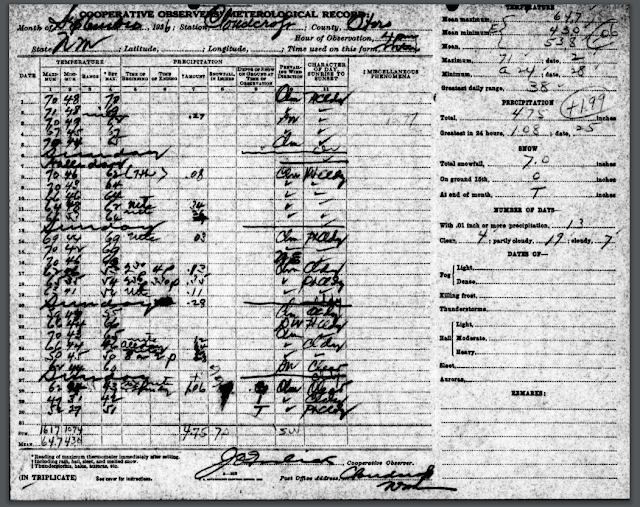 On September 29th, 1945 Ruidoso measured 2.5" of snowfall and on September 14th, 1951 they had a trace of snow.